Yolotek / Bass 365 Partner for 2019! We are excited to announce Bass 365 will partner with Yolotek in 2019! YOLOtek was born out of solving a problem and is now Powering Your Adventures! with a line of patented products to help capture those once-in-a-lifetime moments. If you have a frustration or problem while on your adventures, please let us know; we can help! HOW IT BEGAN: Our founder, Christian Corley from the Kansas City area, received a phone call from his father Roger Corley who was fishing on Lake Ahquabi in Iowa with his oldest son Bryan. Roger was tired of his cell phone battery dying while out fishing. Bryan said “What we need is for someone to take the power from the navigation light port and convert it to USB”. His father, Roger said, “Well I know who can invent that, let’s call your brother Christian”…. a few hours later – PowerStick-10” was born. Christian showed PowerStick-10″ to Bassmaster Elite Pro Angler Casey Scanlon and he said “This is great, but can you make it hold my GoPro, VIRB or other action cameras?” So we began to work on a longer stick that would extend up and down for a lot of points of view. A few days later PowerStick-53″ was born. 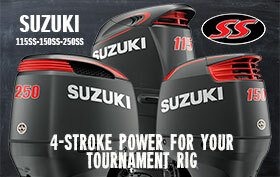 Just two weeks later PowerStick-53″ was voted one of the TOP NEW PRODUCTS AT THE BASSMASTER CLASSIC presented by ‪GoPro! 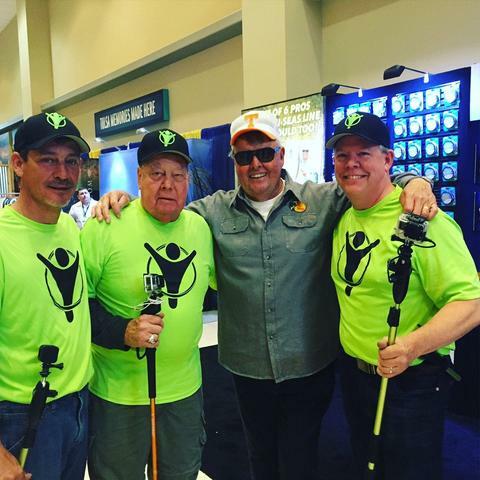 And a few months later PowerStick-10″ WON Best in Show at iCAST New Product Showcase. Check out the full YOLOtek line up here.